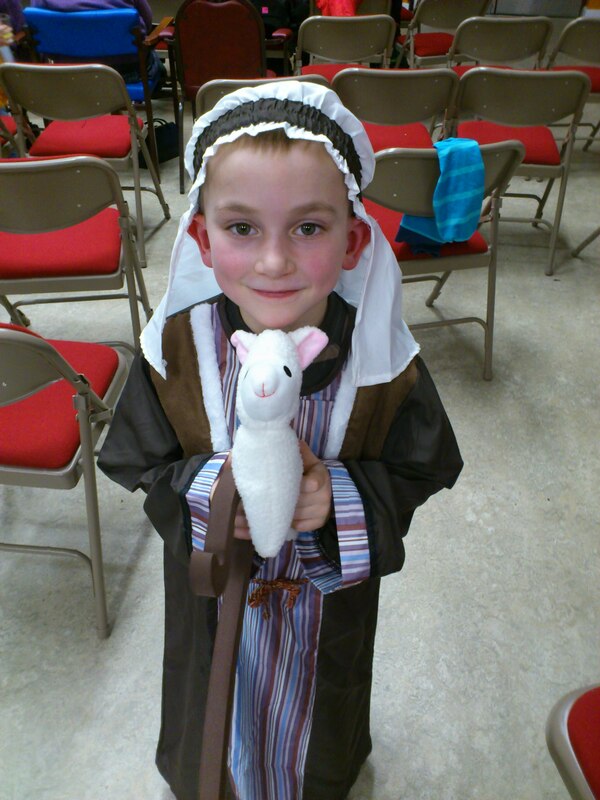 For the second year in a row I have been given something by a small child and asked if I could ‘give it to Jesus’! Last year a little boy at the crib service was left holding one of the gifts from the King and was most concerned what to do about it (we took it to the crib and put it beside the manger). This year 6 year old Jake breezed into Kid’s Club and handed me a card. At first I assumed it was for me and was about to say thank you but a raised eyebrow from Jake’s mum standing behind him warned me to take a second look. ‘To Jeasus’ it said in wobbly writing. I’m deeply honoured by the association but it still felt kind of rude to open someone else’s post so I stammered a bit and eventually said ‘Thank you Jake, that’s really kind, I’ll make sure he gets it’. Two things touched me about this exchange. The first was that Jake was the only person I knew who’d actually sent a card to the one person whose birthday we are celebrating. Secondly I have a lot to learn from such total and utterly simple confidence. He had no doubt what so ever that I would be able to pass on his card. As adults, how hesitant are we? How cynical have we become? How complicated do we make things? How unsure am I when I come to God that he will even hear me, let alone respond. Yet this is the God who says ‘Ask, Seek, Knock’, all of which are instructions simple enough for a six year old. Later I did, in fact, open Jake’s card. 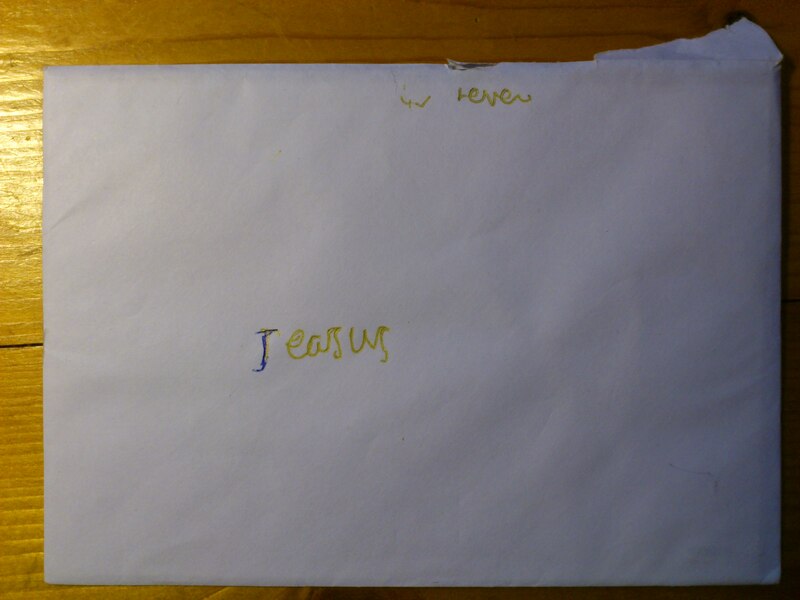 It said ‘Dear Jeasus’ Merry Christmas and Happy New Year ‘love from Jake’. Brilliant! The child is a genius. We can learn a lot from children, no wonder Jesus said ‘Unless you become like a child, you cannot enter the Kingdom of Heaven’. ‘Thank you Jake’ – and that comes from Me and Jesus!